In 1980, Dr. Joseph A. Mills, Jr., rededicated his life to the Lord and attended Shiloh Baptist Church in Lorton, Virginia for a short period of time. He and his family later became members of Rhema Christian Center in Washington, D.C., where the foundation as a believer in the Word of God was firmly laid. While there he taught in Rhema’s Bible College. Soon after he was called to attend Faith Ministries Church in Woodbridge, VA. During that time Dr. Mills started a bible study in the home of a friend that lasted for more than twelve years. While teaching, he also attended Word of Faith Leadership and Bible Institute and graduated in 1985. After graduation, Dr. Mills began teaching an additional bible study at Macedonia Baptist Church in Arlington, VA., which lasted for more than eight years. In 1990, the Lord called him to the five-fold ministry as a pastor. His assignment: TO ASSEMBLE THE PEOPLE - men, women and children and the stranger and the sojourner within your towns - that they may HEAR and LEARN (reverently) to fear the Lord, and be watchful to DO ALL that's written therein (Deut. 31:12). After three years of study and preparation it was now time to start the church that God had placed in his heart. Agape Embassy Ministries' first service was held on ,Sunday, April 4, 1993 at the Quality Inn Hotel, 6461 Edsall Rd., in Alexandria, VA; in attendance were sixty-five adults and children. 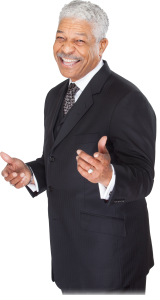 Dr. Mills was ordained as a pastor by the International Ministerial Fellowship and also ordained by Dr. Myles Munroe of the International Third World Leaders Association.